WASHINGTON – Ronald L. Batory officially became the 14th United States Federal Railroad Administrator on February 28, 2018. 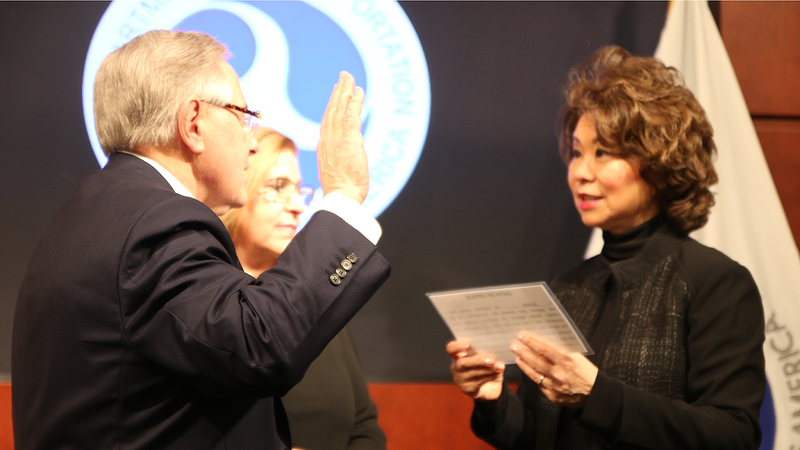 In the presence of his family, and numerous colleagues he has known throughout his 47-year career as a railroader, Batory was sworn in by U.S. Transportation Secretary Elaine Chao. 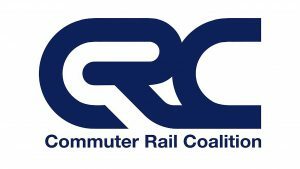 As Administrator, Batory is responsible for managing the agency’s regulatory oversight of more than 800 railroads, including enforcement of safety laws and regulations. 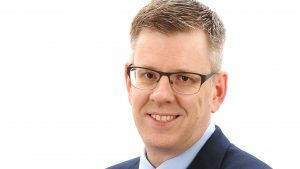 “He will provide leadership and direction for FRA-administered financial assistance programs and national freight and passenger rail policy, as well as research and development activities that support improved railroad safety, efficiency and reliability,” FRA said. After earning his Bachelor of Arts degree from Adrian College in Michigan, Ron Batory began his railroad career in 1971 working for the Detroit, Toledo & Ironton Railroad. He received a Master of Arts degree from Eastern Michigan University in 1975, and then served in positions of progressively greater responsibility with the Grand Trunk Western Railroad, the Chicago, Missouri & Western Railway, and Southern Pacific Transportation Company. In 1994, Batory became President of The Belt Railway Company of Chicago, the largest intermediate switching terminal in the U.S. 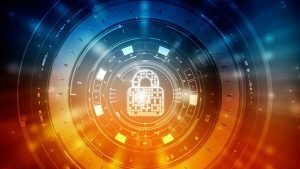 In 1998, he was recruited by CSX and Norfolk Southern to manage the partitioning of Consolidated Rail Corporation (Conrail) as part of a merger approved by the U.S. Surface Transportation Board. He was President and Chief Operating Officer of Conrail Shared Assets from 2004 until his retirement in April 2017. 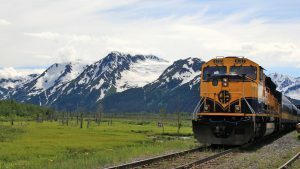 Batory’s assuming the role of the nation’s chief railroad safety officer occurred about eight months after he was nominated. He was confirmed on Feb. 13, after Senate Minority Leader Chuck Schumer (D-N.Y.) finally removed a hold on a Batory confirmation vote—a hold put in place this past summer in an attempt to force the Department of Transportation to release federal funds for Amtrak’s Gateway rail tunnel project under the Hudson River. 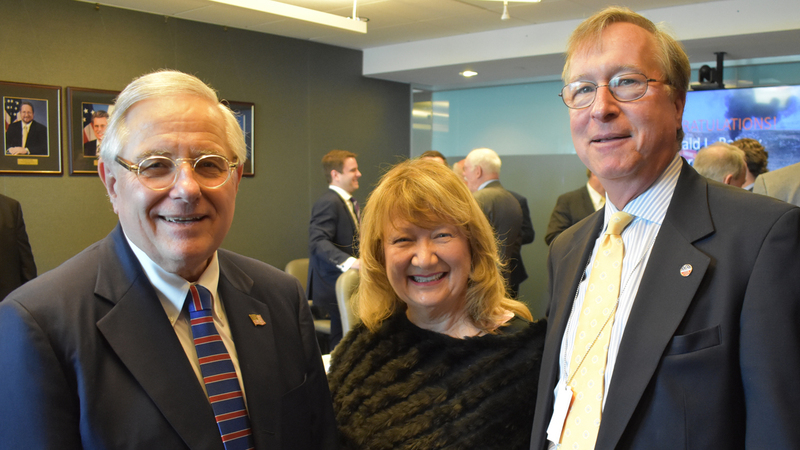 Ron Batory with former Federal Railroad Administrator Jolene Molitoris and Association of American Railroads President and CEO Ed Hamberger.